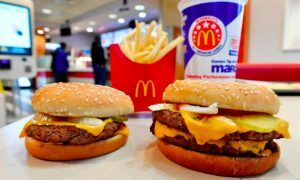 Many girls/women have the perfect idea of how they want their wedding day to plan out, but I doubt that many of them include a visit to McDonald’s as part of this. 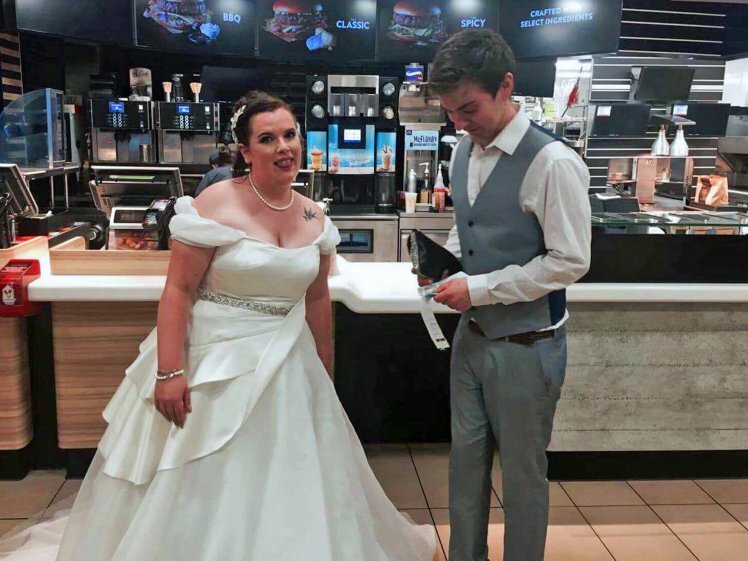 Not everyone is 26-year-old bride Sammie Trueman though, who decided to celebrate her nuptials to husband Richard over the bank holiday weekend by visiting the legendary fast food restaurant. 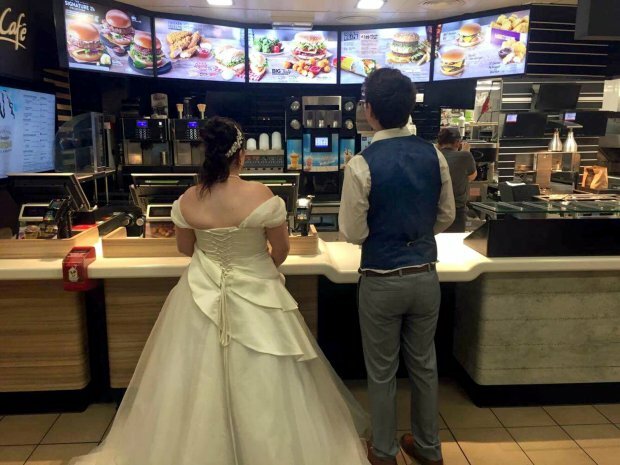 Apparently it had been her dream since she was 14 to visit McDonald’s on her wedding, so both her and Richard showed up in their wedding outfits and received table service from the gracious waiters. Ever since I was 14 years old I had always said that I wanted to eat in McDonald’s on my wedding day, I just can’t believe that we actually did it. Richard and I decided to get married at a registry office at 5pm and afterwards we went straight to our reception at a nearby hotel. We actually had a really good deal for our reception, it included canapes and prosecco for 40 day guest on arrival and then a hot and cold buffet for 100 evening guests which cost £2,017. But sadly we didn’t get to try any of it, the night went so fast and we were just too busy speaking to our guests and enjoying the music that we didn’t get chance to eat. The party lasted until around 12.30am and by 1am we were both absolutely starving. After saying our goodbyes we walked from the hotel to McDonald’s with my maid of honour and her boyfriend. It was only a few doors down from our hotel which was ideal and meant I didn’t have to walk far in my dress and heels. People in there didn’t seem overly impressed, but they did tell us to sit down and they brought our food over to us which was a nice touch. I ordered a McChicken sandwich meal and Richard ordered his favourite, a double cheeseburger meal. After about half an hour, finally feeling full, we left and went back to our hotel. We are still laughing about it now, and whenever we tell the story to friends and family they find it really amusing. I mean yeah, I guess that’s one way to describe it? 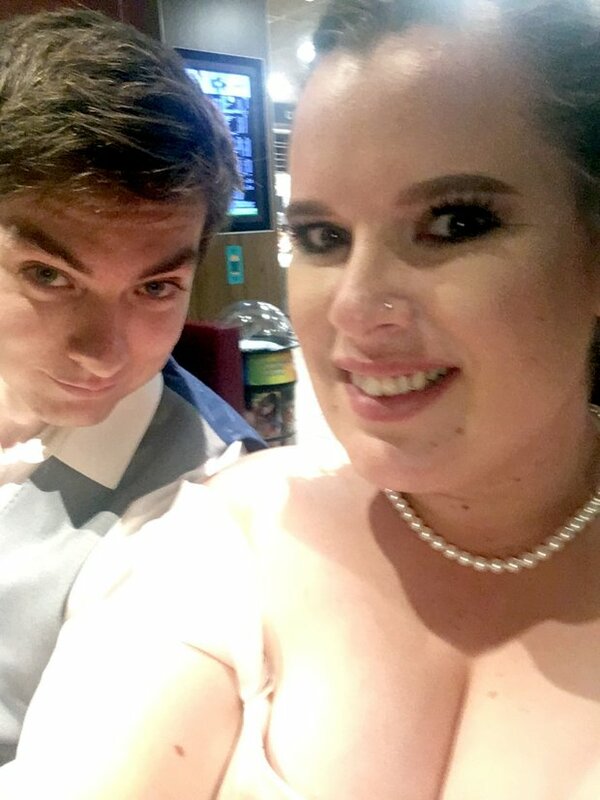 I suppose it’s kinda cool that these two people are so down to Earth they can just enjoy a McDonald’s on their wedding day, but if someone told me that story I think I would be laughing at them rather than with them and making a face that verged somewhere between confused and thinking about how I could no longer be friends with these people. I mean it’s supposed to be your wedding day, at least spring for Deliveroo or something? For more stupid weddings, check out this woman who recently married herself because she wanted a wedding but couldn’t find the perfect guy. At least she didn’t go to McDonald’s I guess.